Daybreak – Avalon Harbor by Pat Kofahl - Together, We Make Memories! 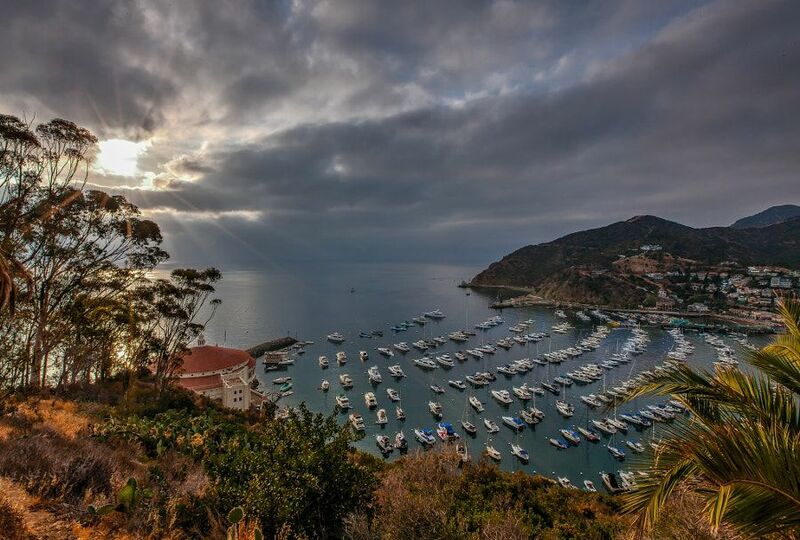 In February 1919, chewing gum magnate William Wrigley, Jr. bought a controlling interest in Santa Catalina Island and its associated properties from the Banning Brothers. Wrigley devoted himself to preserving and promoting it, investing millions in needed infrastructure and attractions, including the construction of the new Catalina Casino, completed May 29, 1929. In order to encourage growth, Wrigley purchased additional steamships to service Avalon, including the S.S. Virginia (renamed the S.S. Avalon) and the S.S. Catalina which was launched on the morning of May 3, 1924. Wrigley also brought attention to the town of Avalon by having his Chicago Cubs use the island for the team’s spring training from 1921 to 1951, absent the war years of 1942–45.-Wikipedia.